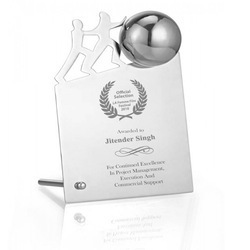 Prominent & Leading Manufacturer from Delhi, we offer ss golf stick & ball on podium trophy, ss men pushing rock trophy, ss winner cup desk trophy with stand (in gift box), ss thumbs up trophy with wide base, ss shining 3 star desk trophy with stand and cricket winner cup trophy. 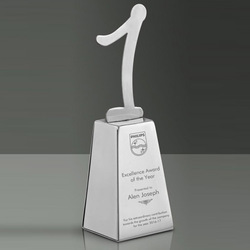 Stainless steel trophy with a podium base and a top of golf stick and ball. 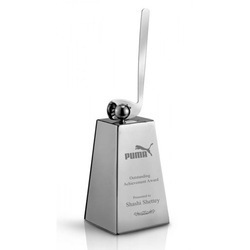 Stainless steel table trophy showing teamwork of men pushing a large rock together. 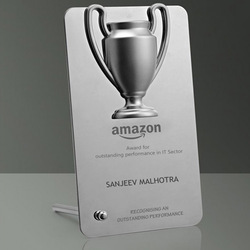 Stainless steel desk trophy with a winners cup on it. Comes in a gift box. 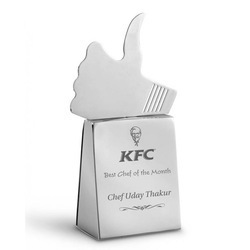 Stainless steel trophy with wide base and a thumbs up top. 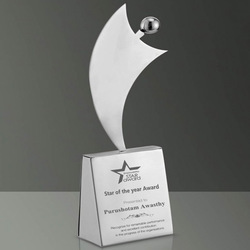 Stainless steel table trophy with three 3D stars. Stainless steel trophy with number 1 on top that also resembles a human figure. 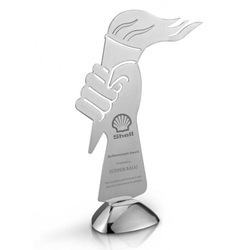 Stainless steel trophy with a hand carrying flame on a podium style base. 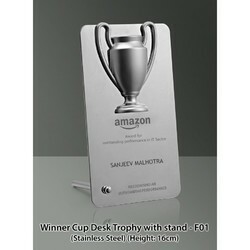 Stainless steel trophy with lady like figure on a wide base. 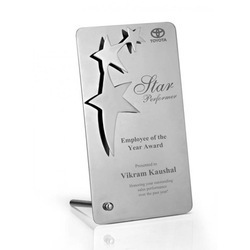 Looking for Trophies and Awards ?